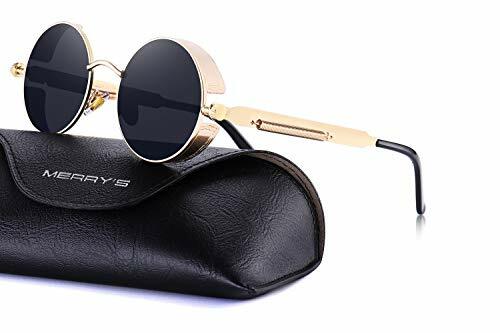 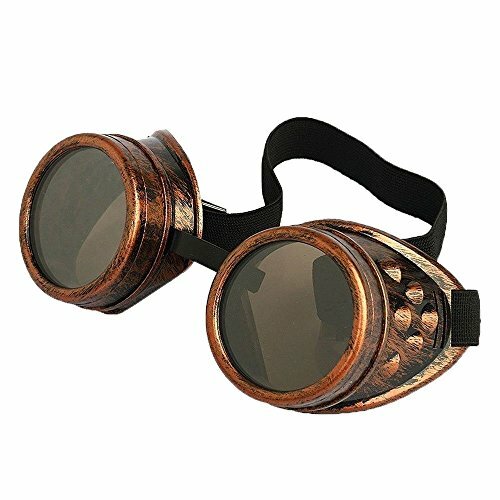 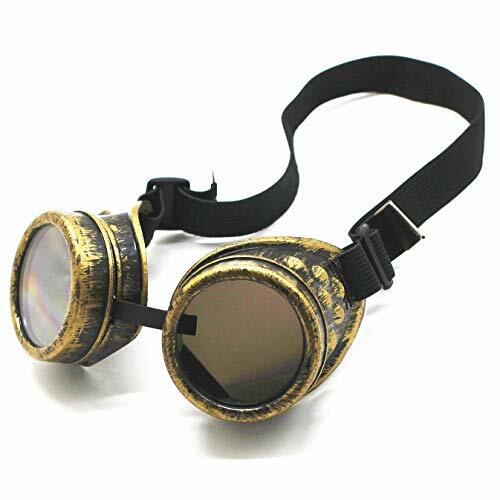 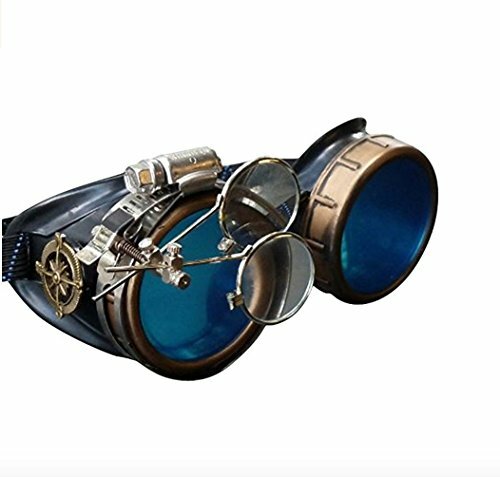 Stylish Steampunk goggles: These vintage style goggles with removable and abjustable double magnifying eye ocular loupe. 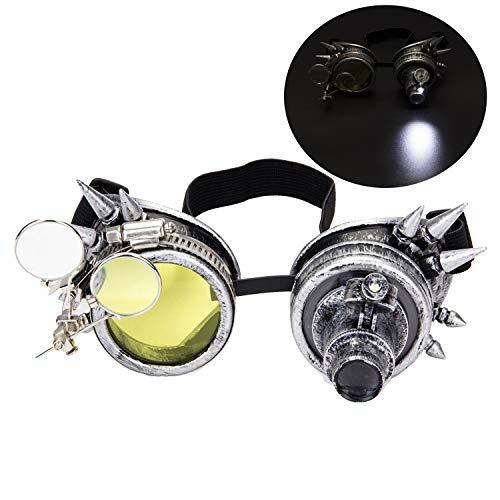 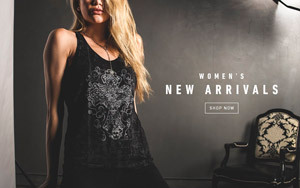 is an excellent addition to any cosplay, LARP, costume, rave, or convention outfit. 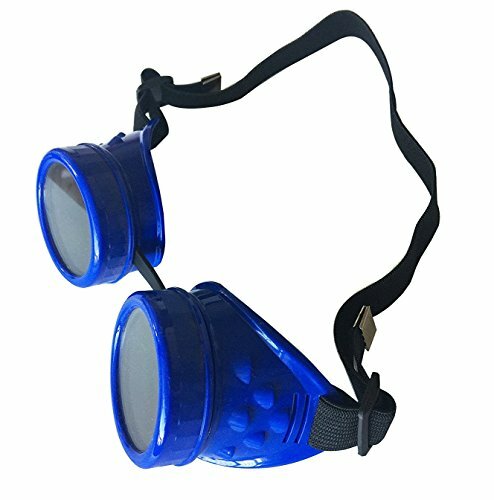 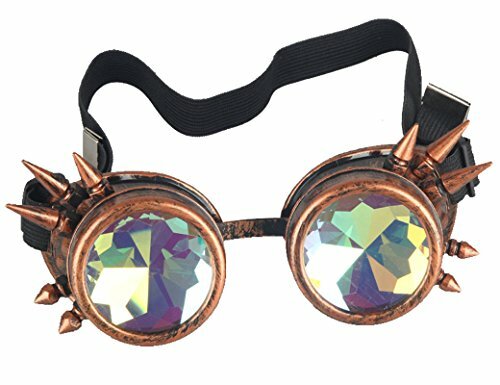 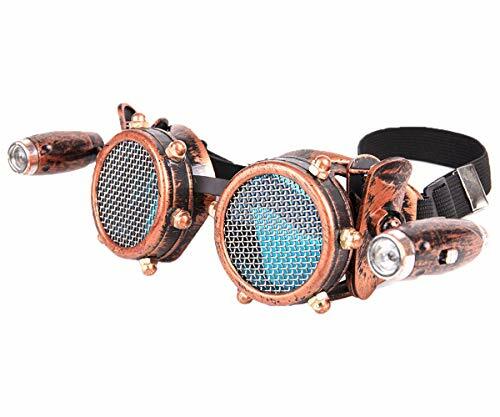 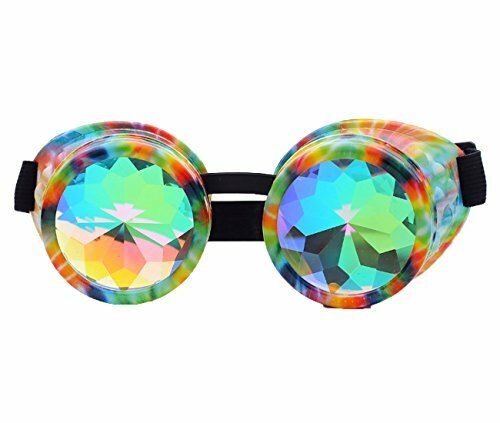 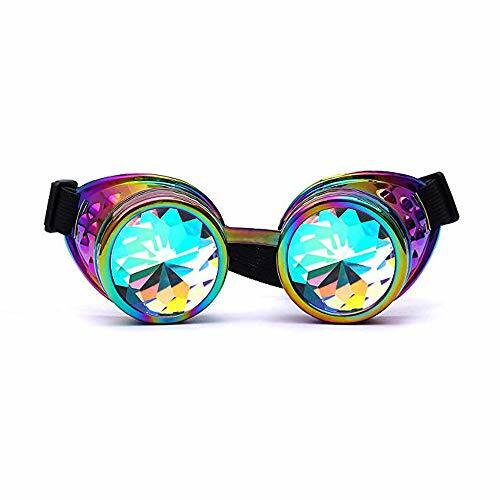 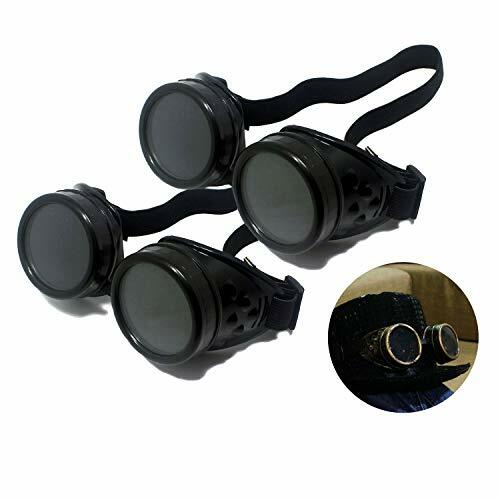 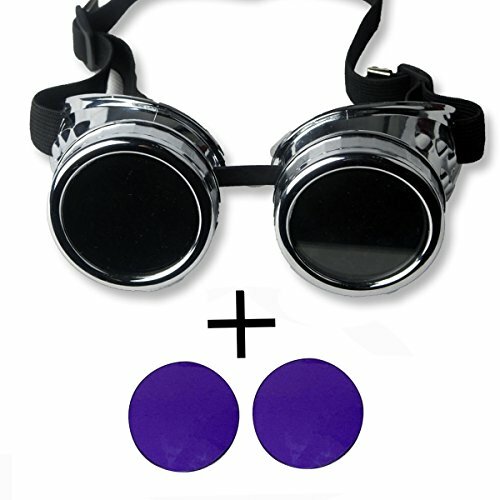 Impeccable Detail: The steampunk rave goggles design with attractive rivets on either side, an iron circle, the goggles will glow when you twist the switch on, which make you illuminate the way in the dark. 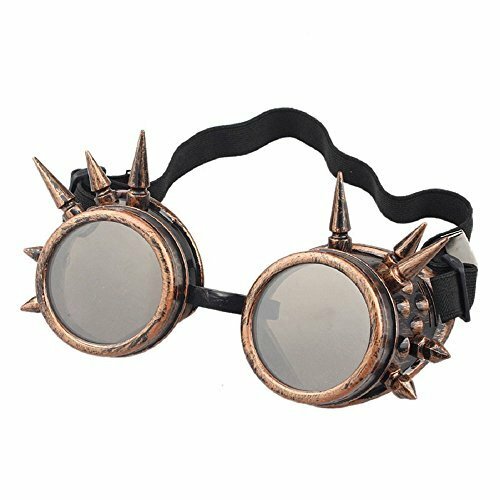 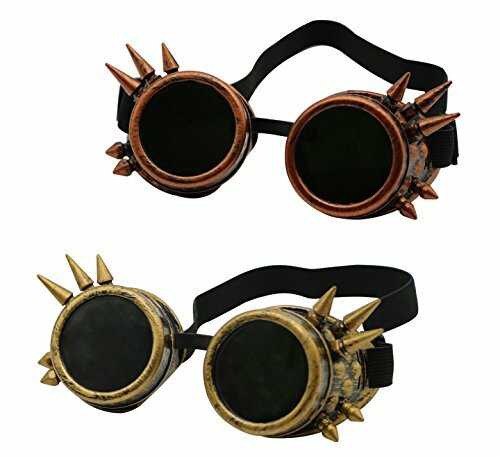 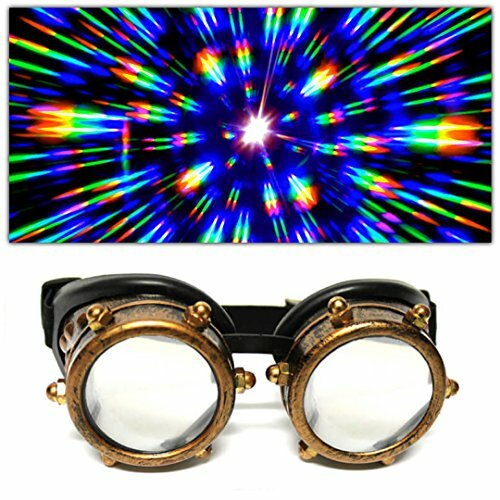 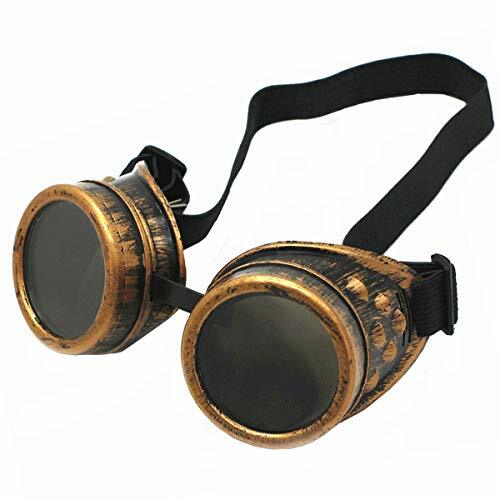 All Occasion: Retro Steampunk Goggles Perfect for Halloween Costume, Christmas Day, Pirate, Music Festival, Burning Man, EDM, Show, Concert, Cosplay, Party, Dancing, Birthday Party, Holiday, Photo Prop, Outdoor Sports, or anywhere where you want to be the King or Queen of the crowd. 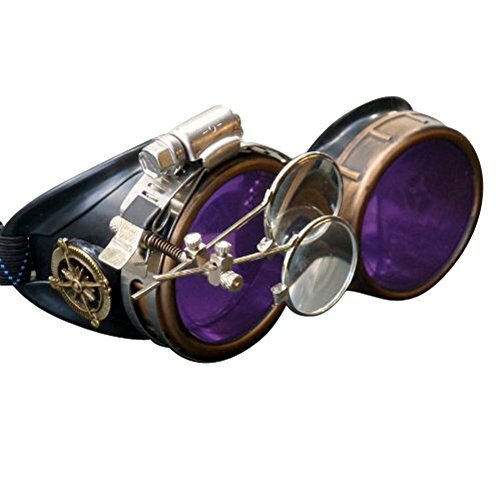 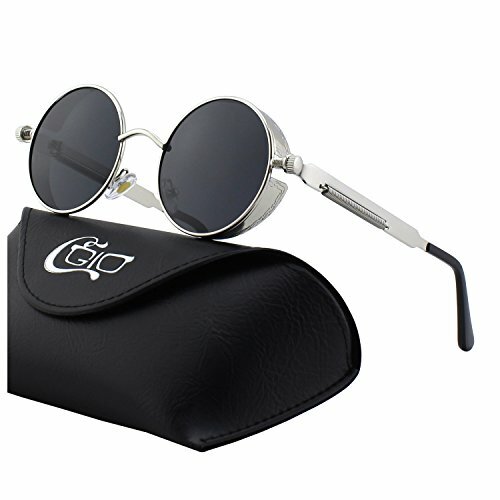 One Pair of goggles(consists of 1x frame,2x clear lens,2x tawny lens,2x washer) A necessary accessory for Steampunk's wardrobe The frame made of high quality hard coated plastic,which makes a vintage feeling, Perfect as a steampunk cosplay prop or toy.